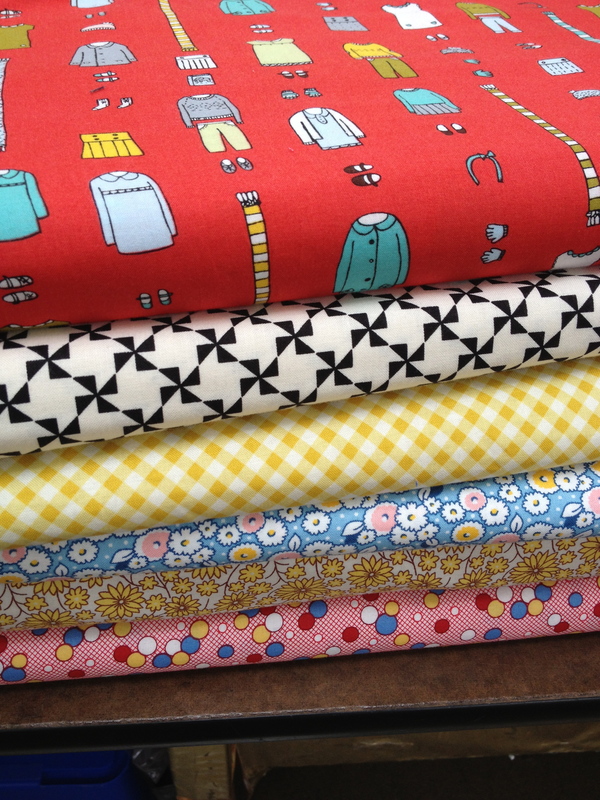 When I go into the fabric store I usually have no idea what I am going to make. This sounds totally crazy but I really do let the fabric “speak to me.” I like to walk the aisles and usually pick fabrics in groups. Here is an example of two groupings of three. At this point I’m thinking of what I can make and who I can make it for. 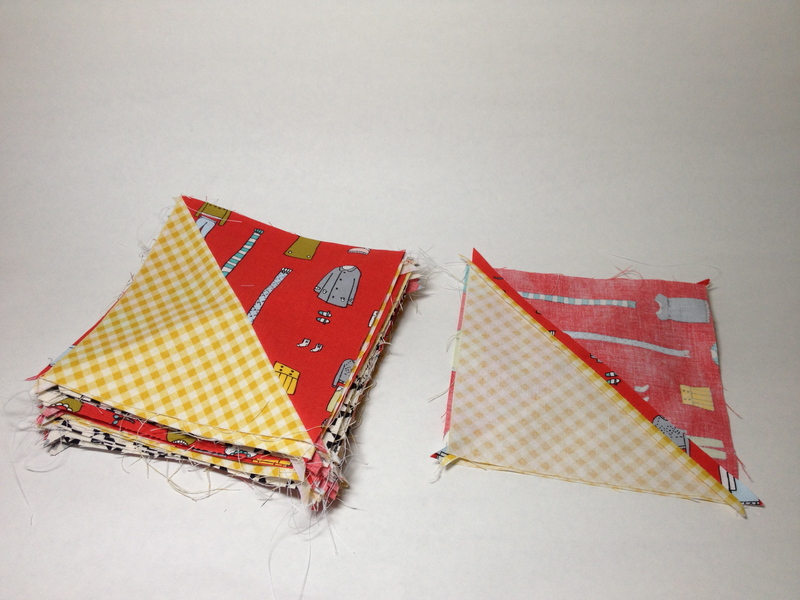 I decided to make baby quilts for two of my nearest and dearest. Since I’ve never done this before I decided to first make a quilt using the pattern from the pillow. It was simple (enough) and at least I had tried it before! First, I drew out how I wanted the quilt to look. Then I just retraced my steps from the pillow. In the picture the quilt is upside down…but you get the idea. 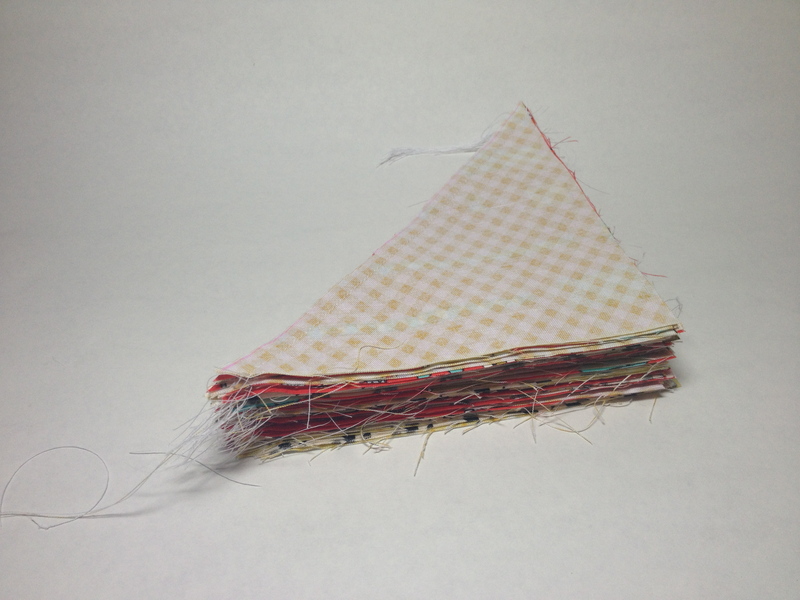 This is a pic of all the squares laid out before I actually sewed them together. I love how the seams on the backside look…unfortunately this side will never see the light of day once I assemble the quilt. 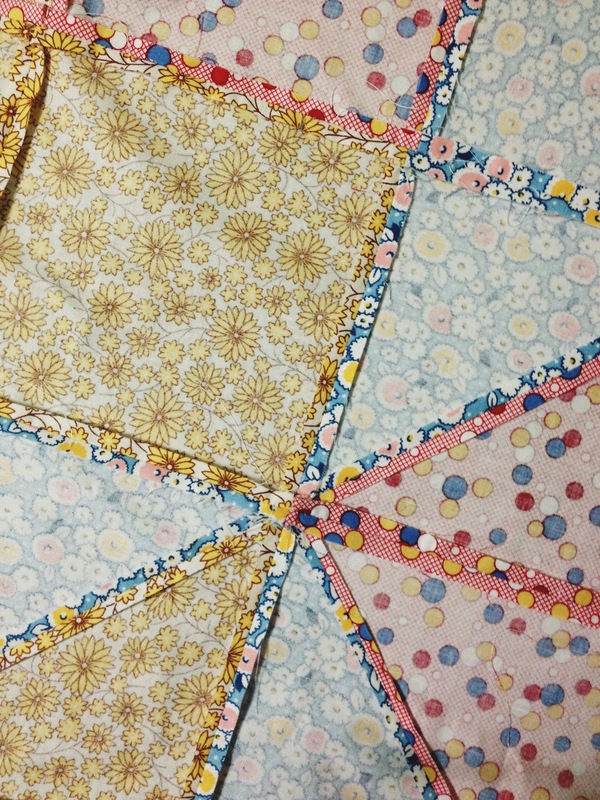 I finished the top side of the quilt…and am putting off actually quilting it. That mess looks hard! Fortunately, I have the most amazing crafty friends who are going to hold my hand through the process. This coming thursday I’m having a craft night after my friend’s kids go to bed and friday I’m getting together with two of my high school girlfriends for a quilt night. 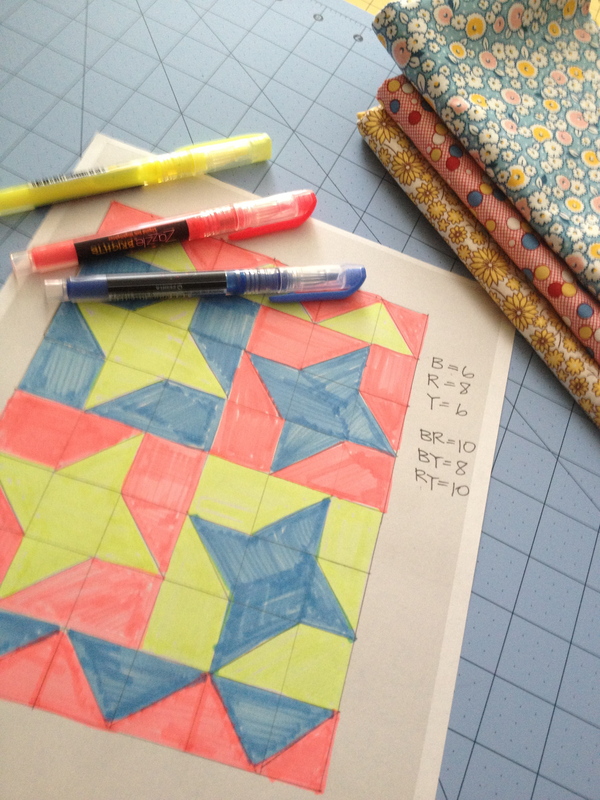 So…I am totally justified in putting off the hard stuff and starting another quilt top. 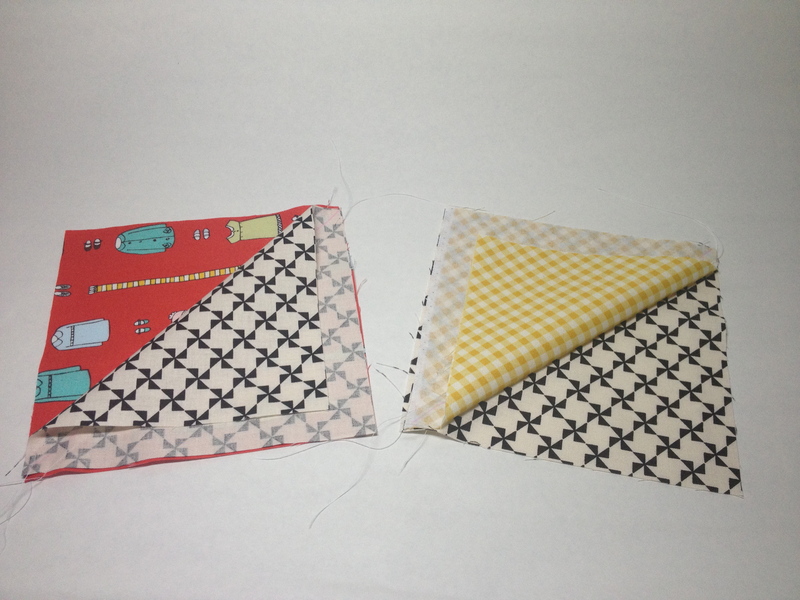 The next quilt uses the same dimensions as the last quilt…the only difference is all of the squares are 50/50…which means more corners to line up…woof. With one top under my belt I’m feeling a little more confident starting this one. I was better about documenting the steps for this one. I tried taking the pictures on a white background because my room makes for a very distracting background…but I hate how the white looks against the white blog background…all dingy looking. oh well. 2. prints are put face together. a line is drawn down the center (diagonally) and with the machine I sew a seam 1/4 inch from each side of the center line. a quarter inch foot makes this easy. 3. 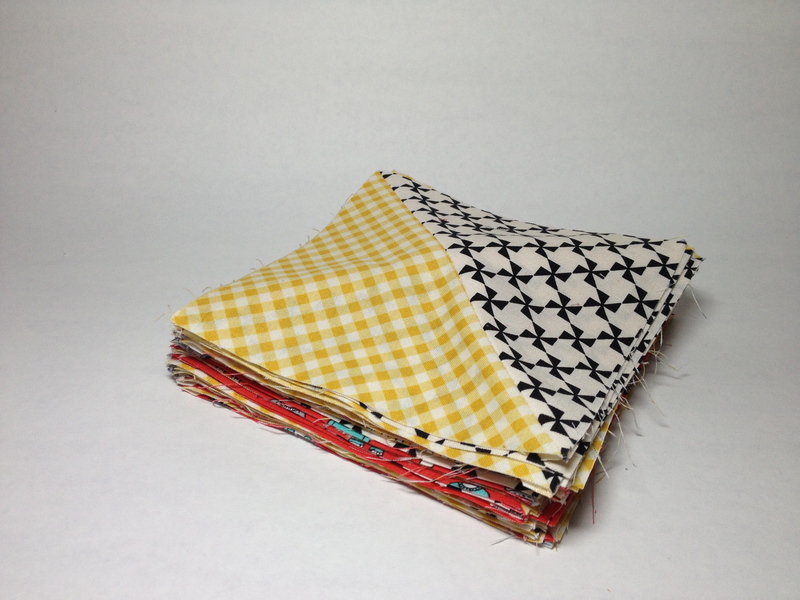 I pulled back the fabric to show that the prints are contrasting. 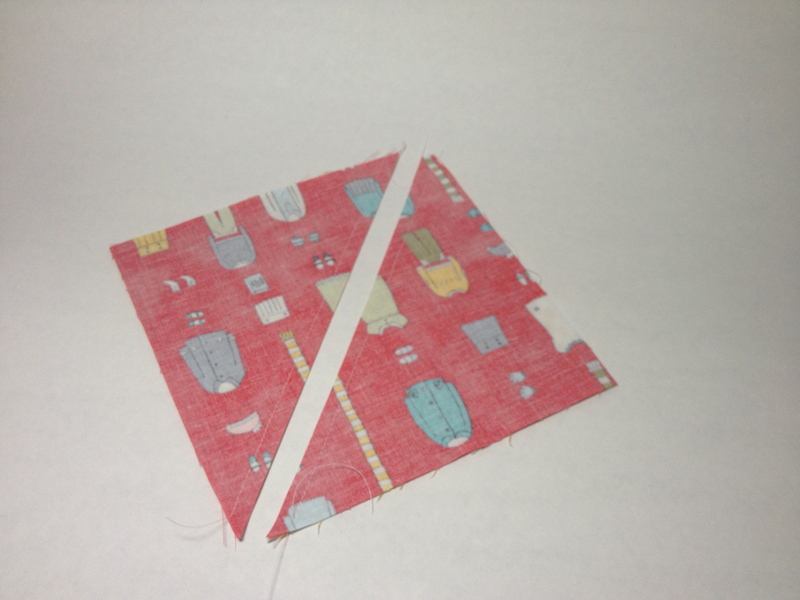 4. cut the square in half down the diagonal line that was drawn as a guide for the 1/4 inch seam allowance. 5. these are all the squares stacked up once they were cut. 6. open up each square and press the seam open on the back. 7. as you can see the squares are not perfect anymore once I’ve worked with them. I used this 6 inch omnigrid to “square them up” which will allow for a much cleaner finished product. 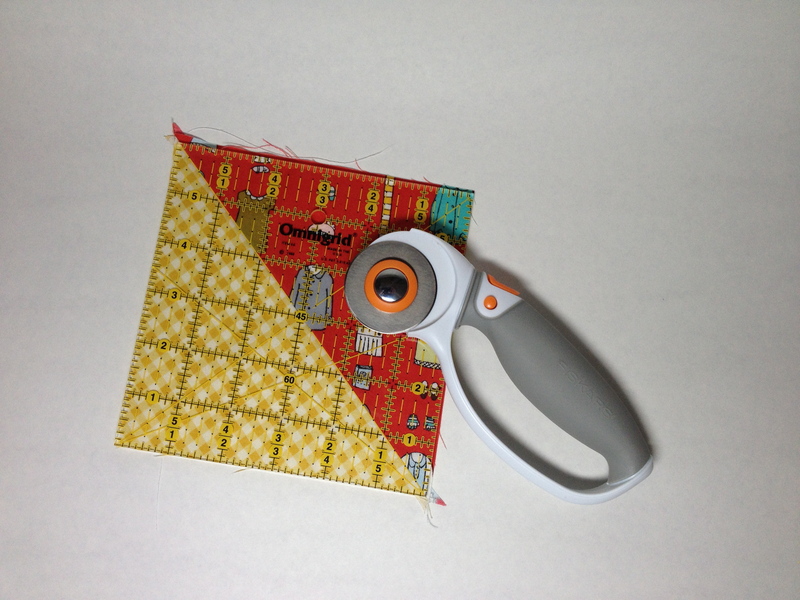 I used my rotary cutter (aka God’s gift to quilters) to square them up. 8. here are all the squares piled up. 9. ohh la loo! here’s the finished quilt top. 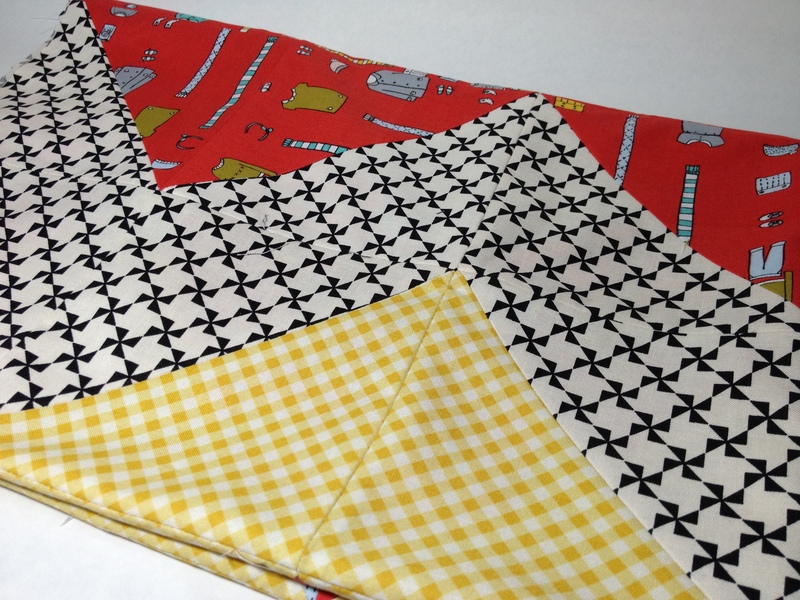 I’ll have to do another post about sewing the individual squares together. 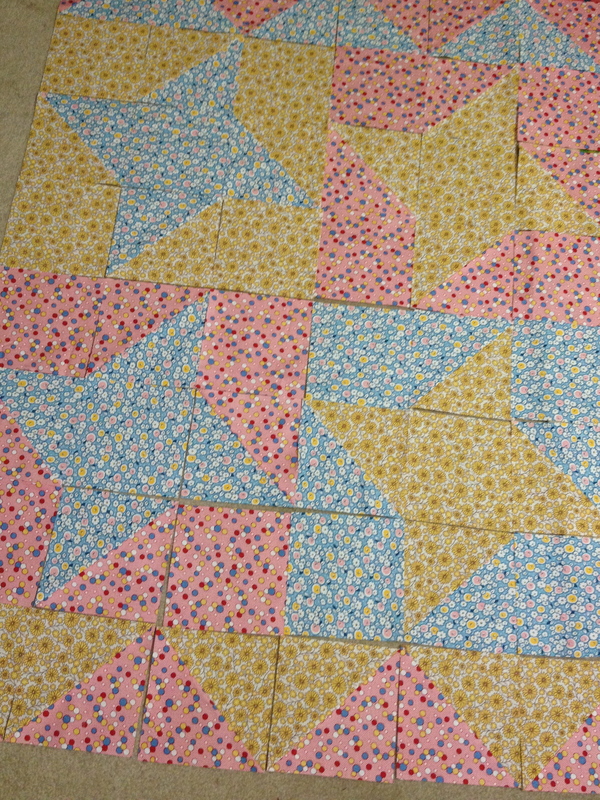 after two quilt tops I think I have the process down…it took some trial and error. my friend and I rate our success of a sewing project on the amount of times we had to bust out the seam ripper. on this here quilt top. seam ripper count: 2. not too bad.